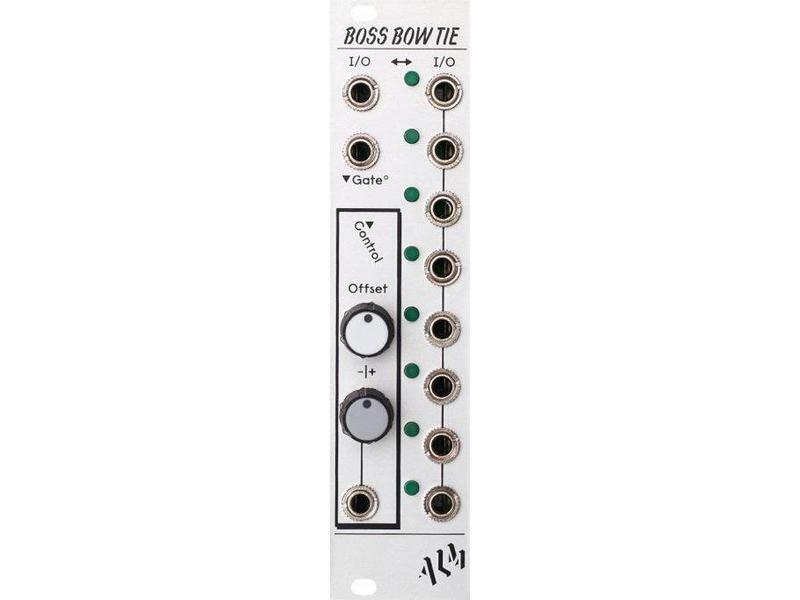 Boss Bow Tie is an 8 way bidirectional voltage controlled switch. An input ‘I/O' signal is mapped to an output ‘I/O' via a corresponding control voltage. 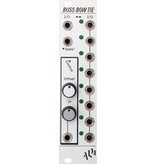 As bidirectional, this can be either 1 of up to 8 inputs into a single output or a single input into 1 of up to 8 outputs. The control input features both an attenuverter and offset to precisely select which of the 8 I/O's are available to be ‘switched'. A normalized ‘Gate' input enables and disables the switch allowing for rhythmic and other effects. The module is intended primarily for flexible routing of CV signals. Though audio signals will work - audible clicks can sometimes be apparent when switching I/O's. • 8 way bidirectional voltage controlled switch. • Normalized ‘Gate' input to enable/disable switch. • Fast switching up to audio rates.